If your pet is constantly stealing your shoes for a chewing and/or snuggling session, it’s time you gift them with some shoes of their own! No. Hear me out. These Sasquatch! 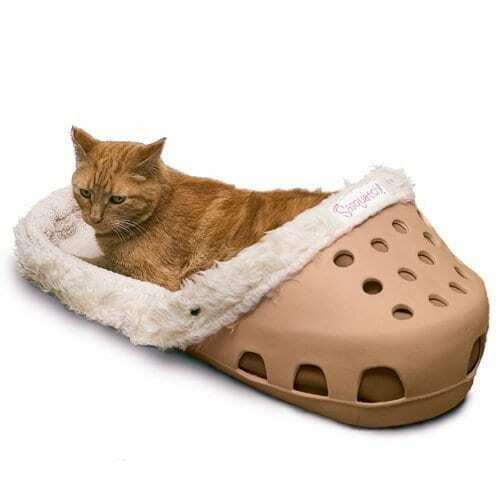 pet beds from Amazon look like a pair of comfy, cozy crocs, but they also serve as a bed for your cat or dog. These beds have a faux fleece insert that will keep your pet nice and warm, and which can be removed for washing. And they also have a rubbery exterior that’s perfect for gnawing on — or at the very least, better for chewing than your actual shoe! A pet bed like this may not be the best-looking piece for your home, but hey — if it keeps your slippers on your feet and out of your dog’s mouth, so be it. Or maybe you’re of the mindset that this croc-like bed is so ugly it’s cute. If that’s the case, there are quite a few other pet beds you should see on Amazon before making your final purchase. Because the retailer’s got everything from holiday-themed beds to beds that are more like caves — and honestly, they’ll make you wish they came in human-sized bed form, too. 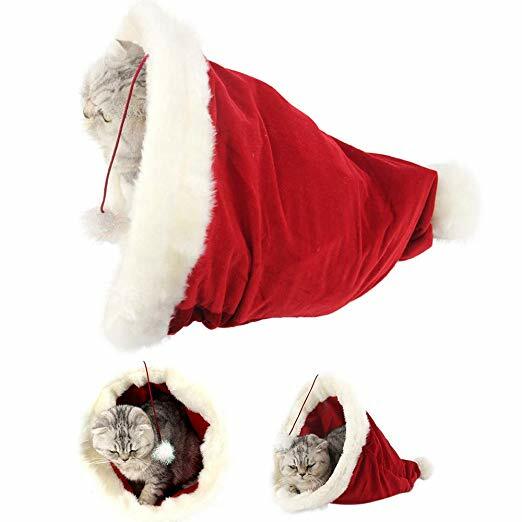 This Santa hat is almost too adorable not to purchase. You can add it to the long list of items already on your pet’s Christmas list. It’s available for $13.39 on Amazon and comes complete with a toy your cat will love playing with thanks to the dangling floof ball in the front. 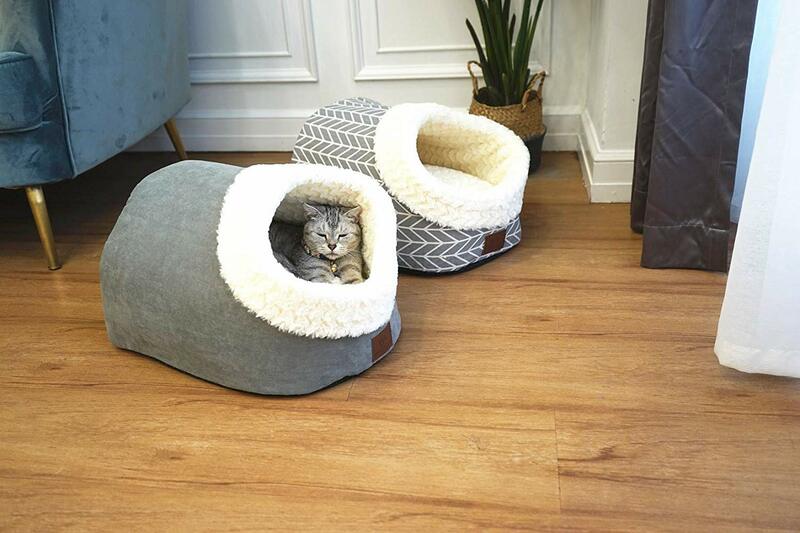 These cave-like pet beds look like the perfect thing to crawl into to be all nice and cuddly. They’re oddly reminiscent of a boot a human might wear — so hopefully, your favorite pair will stay safely tucked away in your closet! These beds are available for $24.99 on Amazon. 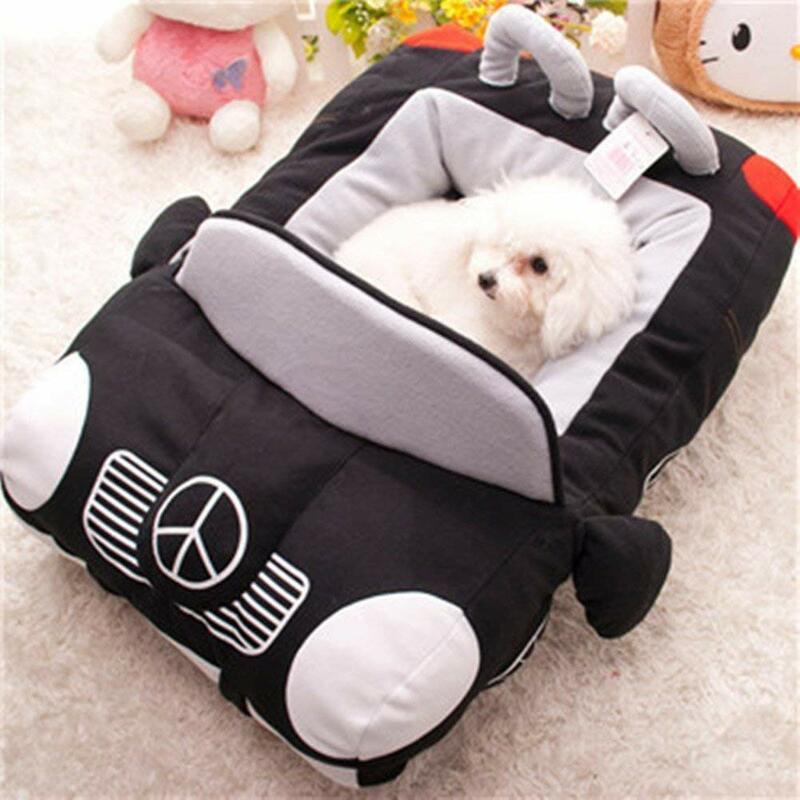 And since you’re in the market for unique pet beds, we’ll leave you with this pick — one that will give your dog instant cool status. It’s shaped like a black Mercedes and looks comfortable for lounging. It’s available for $39.99 on Amazon. While these beds are quirky and funny, you can always save a little money and make your pet a bed. This tutorial will show you how you can upcycle an old sweater to create a cozy area your pet will love.